In a Nutshell: Bitwala offers residents of 31 European Economic Area (EEA) countries access to a fully insured bank account that combines with a Bitcoin wallet and exchange to offer real-time trades. Account holders never have to hand over their private keys to the exchange and can access the proceeds from sales instantly. The Bitwala Mastercard prepaid debit card provides consumers constant access to their funds online or at more than 30 million locations around the globe. For much of the last decade, Europe’s debt and banking crisis has forced consumers to stash their cash in mattresses — a practice made famous in America in the 1930s during the Great Depression. These same economic fears helped create a surge of interest in cryptocurrency throughout the European Union. But that demand also caught the attention of crypto thieves and other criminals who exploit security flaws in many popular exchanges and leave with millions in coin or untraceable fiat currency. The most recent example is the more than $190 million CAD owed to customers of QuadrigaCX. While most users thought the exchange insured their funds, their monies were instead stored in cold wallets with the private keys known only to the now-deceased owner, Gerald Cotten. This is just one of the flaws found in the common practice of sharing private keys with an exchange — something Bitwala founders knew needed to be fixed to create a truly secure service. But the Germany-based Bitwala team took its obsession with crypto convenience one step further by linking its secure exchange to a fully insured bank account and Bitcoin wallet, which allows account holders to pivot between crypto and fiat holdings with 24/7, real-time access. Bitwala truly is the bridge between consumers and the crypto economy. Account holders within the 31 EEA countries who sign up for the German bank account receive all the benefits typically associated with modern banking — including low fees, direct deposits, and automatic recurring payments. Bitwala CTO and Co-Founder, Ben Jones. 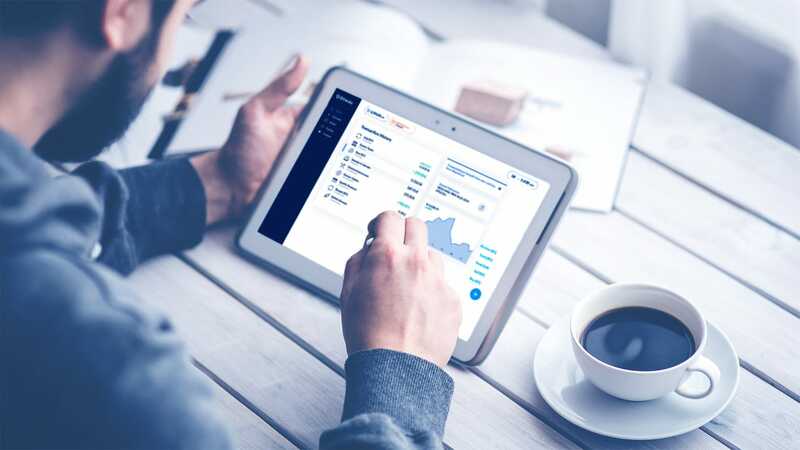 But where the Bitwala Bank Account separates itself from the pack is its ability to connect account holders to a Bitcoin exchange, where they can buy and sell the popular cryptocurrency in real time from their Bitcoin wallet. This is especially handy for users who sell Bitcoin and need fast access to the proceeds. Instead of waiting up to three business days for the funds to transfer, as most exchanges require, Bitwala users can access their money for a 1% fee as soon as the sale completes. Bitwala stands as one of the most flexible crypto banking accounts in the world, providing a level of security for your fiat currency that other exchanges lack. That includes protection up to €100,000 in deposited funds by the German Banking Deposit Protection Scheme. And, because, the account holder is the only person who holds the private keys, all Bitcoin holdings are protected. That policy alone is enough to minimize a consumer’s exposure to issues like those currently experienced by QuadrigaCX users who shared their private keys with the exchange to create their accounts. Bitwala prioritizes security; only account holders know the private access keys. Jones noted that Bitwala’s prime objective is to provide users peace of mind that other cryptocurrency exchanges can’t offer. As Bitwala’s CTO, Jones wants to make sure the company’s technology is on the cutting edge. That’s why the company constantly adds to its offerings to keep the modern banker — and crypto trader — happy. This includes its Mastercard debit card offering, which is free to all account holders and automatically links to the user’s bank account. The card’s 3D-secure feature offers an extra layer of security in the form of a private code for use when shopping online. And with more than 30 million retailers accepting the card worldwide, account holders can truly access their funds whenever and nearly wherever they want to. Bitwala account holders also have access to a fully secured mobile wallet that stores all Bitcoin holdings for later use. Until late March 2019, Bitwala customers had to access their wallets and accounts through the company’s desktop interface. That’s because Bitwala found that its customers made most of their trades through a traditional web browser, so the company prioritized its desktop experience at launch. But as consumer demand for the service grows, so does the need for multiple platforms. Enter the Bitwala Banking app, which is available on all mobile platforms and offers most of the functionality that users enjoy from the desktop experience on mobile screens. This includes access to your bank account and the Bitcoin exchange for fast, easy trades and instant access to proceeds in your fiat currency. In less than six months, Bitwala has experienced enough growth that the company is already talking about expansion — in both the banking and cryptocurrency sectors. Jones said that 2019 is already slated to be a monumental year for the company, with even more growth projected into 2020 and beyond. Those business accounts would offer affordable payment processing opportunities to businesses in a space where “affordable” and “cryptocurrency” aren’t typically found in the same sentence. Jones noted that when new tokens emerge, such as security tokens or tokenized equity, the Bitwala platform is in the best possible position to capture the market and be the gateway for the end-user. By 2020, Jones said Bitwala’s goal is to acquire its own banking license, instead of its current licensure through partner solarisBank. That would allow the company to provide more services and better rates to an already well-priced platform.